Though within a short, pleasant stroll from the heart of old city, Udai Kothi is remarkable for its tranquility and magnificence. Conceptualized, designed, created and run by Kunwar Vishwavijay and his wife Bhuwneshwari Kumari, Udai Kothi is a superbly modern hotel, which pampers you with all the facilities, amenities and luxuries a 21st century traveler expects. While Udai Kothi is modern at heart, the owners have made every effort to incorporate all those architectural and decorative features that make living in the city of Udaipur a pleasure. 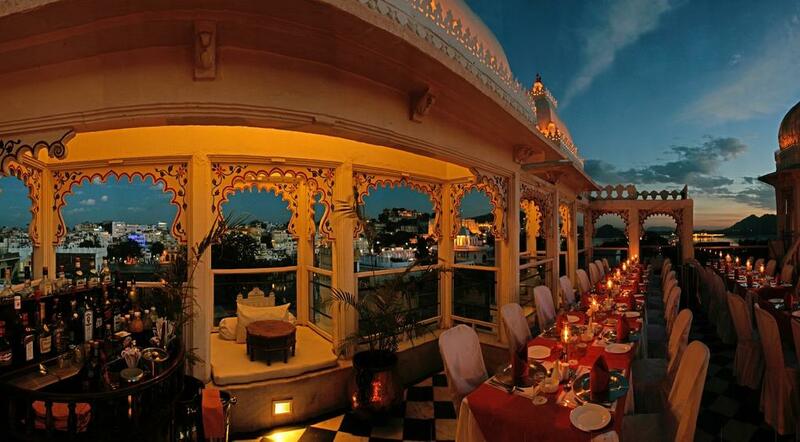 Udai Kothi offers guests the best of both worlds; the latest standards, blending happily with old-world charm. Udai Kothi has 64 well-appointed Luxury Rooms & Suites with International Amenties & traditional decor. Catering, Baggage Storage on Request, Parking, Coffee Shop/Cafe, RO Water Purification System, Currency Exchange, Backup Generator, Doorman, Disabled Facilities, Airport Transportation. H/C Water, Complimentary Toiletries, Television Room, Smoking Rooms, Refrigerator Room, Window Opens, Iron/Ironing Board, Basic Bathroom Amenities, Daily Room Cleaning, Cable/Satellite TV. Breakfast Services, Coffee Shop/Cafe, Doctor on Call, Laundry Facilities, Parking, Restaurant, Room Service, Secretarial Services, Bar. User reviews for "Udai Kothi Hotel Udaipur"